Are you finding it difficult to balance your time? Your efforts and initiatives to complete your assignments on time might go in vain, but not when the Kalabhairava Yantra finds its place in your living space. If multitasking is the order of the day, the Kalabhairava Yantra can help you sharpen your time management skills and bless you with success! Kalabhairava is the Lord of Time who can bless you with effective time management skills, as well as relieve you from debts. When you owe volumes of debts and struggle to balance your time, seek the divine help of Kalabhairava. Offering your sincere prayers to his Yantra can nullify your debts and amplify your sources of income. 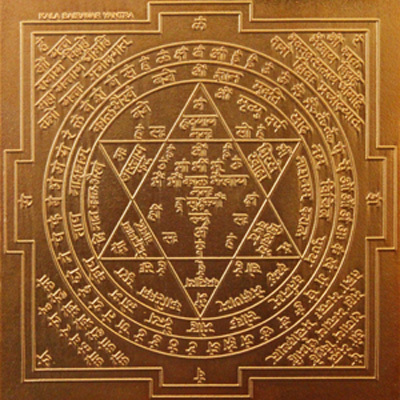 The Yantra emits powerful vibrations that can gift you with the skill of handling time efficiently. With the Yantra of Kalabhairava. master the art of multitasking and stay ahead of time! • People who yearn to sharpen their time management skills. • People who desire a debt-free life. • Business owners who suffer from debts. • Professionals who need to multitask efficiently. • People who desire to become financially sound. • People who understand time is money and wish to never waste time or money.